We are thrilled to announce we will be getting Les Fleurs by Rifle Paper Company! 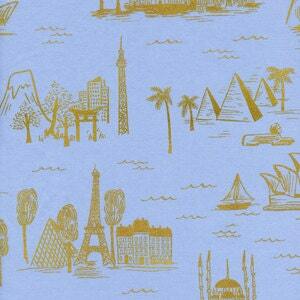 This is a pre-order for a fat quarter of City Toile LAWN in Pale Blue Metallic. The fabric is here and being cut by our distributor and will arrive with us the second week of June, 2016! Order now so not to miss out as meterage is limited.